Thieves are harnessing sophisticated technology to hack into your car’s computer, meaning they don’t even need a key-fob to start the vehicle and can drive it away in a matter of minutes. Car security company Tracker has revealed some facts and figures about ‘relay car theft’, including the most stolen and recovered vehicles in 2018. It comes following figures from the Office for National Statistics for the year to September showed car thefts up 10% to about 110,000 – the increase is assumed to be caused by the rise of relay car theft. What models are most at risk? 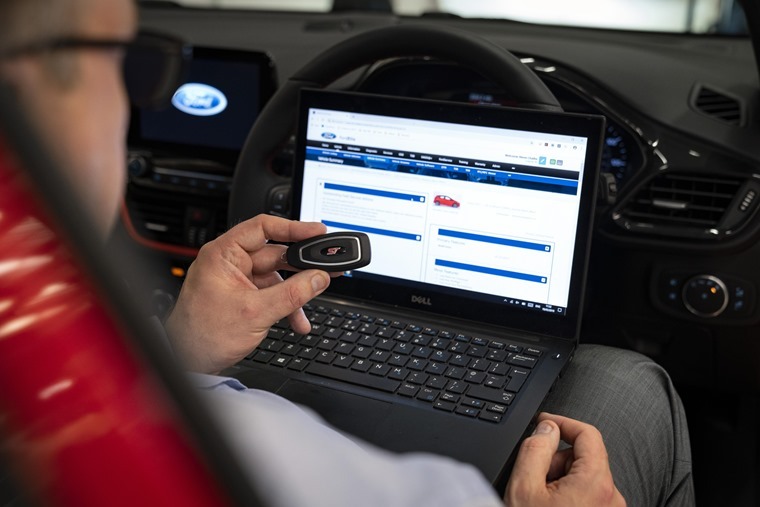 A report by Thatcham research has revealed the newest cars most likely to fall victim to relay car theft due to poor keyless entry systems. 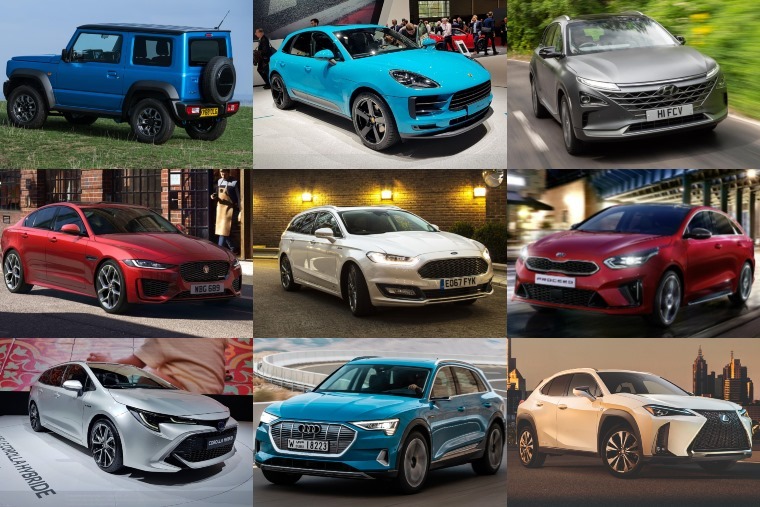 You can find the full list here, but high-end models at risk include the Porsche Macan and Lexus UX. What were the most stolen and recovered vehicles in 2018? Consumer watchdog Which? has found that four out of five of the most popular cars in the UK last year were vulnerable to relay car theft. This includes the Ford Fiesta, Volkswagen Golf, Nissan Qashqai and Ford Focus. However, Tracker’s own stats show that it is mainly the more premium manufacturers that are being targeted. Last year, for example, BMW, Mercedes-Benz, Land Rover and Range Rover models featured in all 10 places; Mercedes-Benz took a record four of the top 10 spots. Although prestige brands remain the top targets for thieves, the average value of stolen and recovered cars in 2018 was £20,000. The least expensive recovery was a Toyota Landcruiser worth just £1,000 with the most expensive being a Rolls Royce Ghost worth £120,000. So what is relay car theft? Many new cars now have keyless entry systems, or can have them added as an upgrade. This allows the driver to open and start the car without using a button or turning a key so long as the fob is nearby. In fact, 96% of motorists are at risk of having their car stolen by criminals using the latest theft technique, according to figures from Tracker. 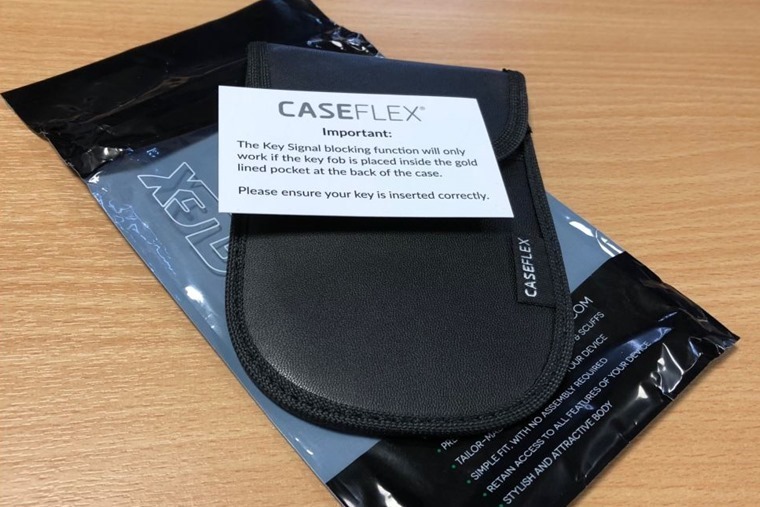 The most at-risk are cars that use keyless fobs, as well as ‘connected cars’. In other words those that use internet to access maps, travel info and music – basically anything with an internet-enabled infotainment system. How does a relay attack work? A relay attack usually involves two people working together. One stands by the targeted vehicle, while the other stands near the house with a device that can pick up a signal from the key fob. What’s more, some devices can pick up a signal from over 100 metres away. The device then relays the key fob’s signal directly to the car, allowing the thieves to get in and drive away immediately. According to the Daily Mail, these hacking devices can be bought for as little as £100 by thieves online. Testing out devices available from Amazon and eBay, the Mail managed to break in to and ‘hack’ a Ford Fiesta in less than two minutes. In another test, Germany’s ADAC discovered that some brands are more at risk than others, with BMW and Peugeot systems being particularly easy to hack. But ADAC also managed to unlock a Toyota Prius, Ford Focus and Volkswagen Golf, showing that no one particular manufacturer is immune to this new kind of crime. The video above shows examples of thieves employing the ‘relay’ technique. Andy Barrs, head of police liaison at security firm Tracker, said: “As relay attacks become even more prevalent, owners need to protect themselves, particularly since criminal gangs are routinely using relay devices to exploit weaknesses in keyless security systems across a broad range of manufacturers. “These tools are readily available on the internet for as little as £80 and thefts typically occur in residential areas, where cars are parked relatively close to the house, especially at night. It’s not just premium cars that are being hit by this new technique – recovery figures from Tracker found that 82% of Light Commercial Vehicles (LCVs) were stolen without the owner’s keys last year – almost a 100% increase compared to 2016. 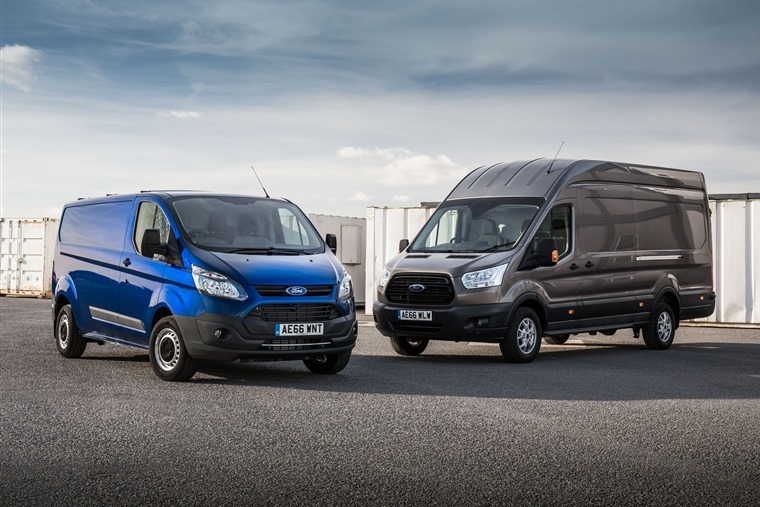 The Ford Transit was the most regularly stolen van, and it isn’t just the vehicle that costs businesses – replacing tools, losing business and rising insurance and administration costs all play a part if you have your van stolen. What’s being done to stop relay attacks? The government has released new guidelines for car makers that will soon have to provide more security as cars get ever-more advanced. But it’s not just aimed at reducing theft; it’s part of the Autonomous and Electric Vehicles Bill, which will create a framework to insure autonomous vehicles. The stricter guidelines also aim to reduce the risk of hackers accessing personal data or, as we get closer and closer to self-driving cars, take over the vehicle and cause accidents. With autonomous cars purportedly only a few years away, the government wants to make cars as safe and secure as possible in the face of cyber criminals. Transport minister Lord Callanan said: "We need to make sure that the designs of the vehicles in the first place are completely cyber secure so that people can't break into them, they can't steal them and more importantly they can't hack them to potentially cause accidents." Ford also recently announced the Fiesta and Focus will be the first models to feature a sleep mode to protect against being hacked by relay car thieves. Block electronic key fob signals: A Faraday-style wallet, as pictured above is the best way to block out any electronic signals, but even your fridge can shield electronic car keys from relay attacks. Check it’s locked: Always double check that your car is physically secure and alarmed when using keyless locking systems. Keep keys out of sight: Leaving keys in the hallway or on the kitchen worktop means thieves can easily employ the relay technique if it is within proximity or failing that break in and swipe them. Add layers of security: Physical barriers can be effective in deterring thieves. Consider adding a crook lock or wheel clamp to your car. Install a ‘ghost immobiliser’: For another layer of protection, add a secondary barrier to your car’s factory fitted immobiliser by having a unique access code to start your car. Invest in a tracking device: A tracking device won’t stop your vehicle being stolen, but it significantly increases chances of police recovering and returning it. “It’s clear from our survey that many people are unintentionally leaving themselves vulnerable to these kinds of attack, by putting their keys in easy reach of relay devices”, concluded Barrs. Further research by Tracker revealed that 50% of those surveyed leave their keys either in the hallway of their house or a key pot elsewhere. Only 4% use a metal container to ensure their car is protected from a relay attack. Does insurance cover a lease car for relay theft? It’s a scenario no one wants to imagine, but the ultimate insurance policy against relay car thieves is just that – insurance. It’s worth knowing that, if your lease car or van is stolen, your motor insurer will only pay out the market value of the vehicle. Following a total loss, your finance or lease company will ask you to settle the outstanding balance on the agreement. Whilst these terms can vary dependent upon the finance provider, this usually constitutes the market value of the vehicle (which is paid by your motor insurer) but can ALSO include up to 100% of the remaining monthly rental payments for the vehicle. This could leave you substantially out of pocket. This is when people could consider GAP Insurance, which will cover these outstanding monthly payments and any shortfall in the insurer’s market value settlement.